The finals structure has been set for the 2018 playoffs after the Red Dust Heelers secured their place while the Queensland Spinning Bullets and Kilsyth Cobras claimed first and second spot respectively. Queensland faced a showdown against Wollongong in a possible Grand Final preview this weekend and while they endured two close battles, they prevailed in both meetings. On Sunday, they did not lose a quarter in a 54-42 victory as they held the Rollerhawks to 29% shooting including 0-11 from beyond the arc. Tom O’Neill-Thorne drained both his three’s for 22 points and Bill Latham had a double-double of 14 points and 13 rebounds. Later that day, Queensland took the early ascendancy as they looked to back up with another win but Wollongong fought back to lead by as much as nine points. The lead then changed hands three times down the stretch with Latham (19 points, ten rebounds) putting the Spinning Bullets up by two inside the final minute before Luke Pople tied the game and forced the teams into overtime. O’Neill-Thorne (27 points, nine assists) hit the first two baskets of the extra period but Wollongong answered again with five straight points courtesy of Pople (18 points, seven rebounds) and Shawn Russell (14 points, ten boards). 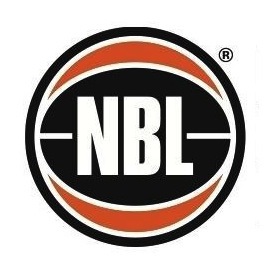 Queensland were very efficient though, scoring on almost every possession at the other end of the floor and they eventually gained a four-point buffer which Brett Stibners (18 points, 12 rebounds, 13 assists) cut to one on the siren from distance for a final score-line of 67-68. Finishing the season with 12 consecutive victories and adding Bill Latham in the past month, Queensland have earned top spot heading into the playoffs as they aim for the 2018 Championship. Wollongong’s two losses were compounded by the fact they dropped to third on the ladder after Kilsyth split their results against Perth to move above them into second. After starting the season 8-0, the Rollerhawks have gone just 5-5 and now every game for them in the post-season will be all-or-nothing. 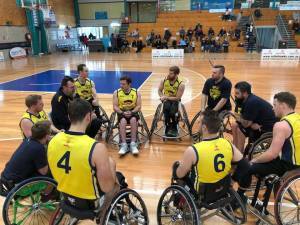 The Cobras fell to the Perth Wheelcats in their first game of the round, 69-77, but bounced back the next day to win 87-66 and officially book a top-two berth. Tristan Knowles came close to averaging a triple-double with 26.5 points, 9.5 rebounds and 11 assists over the two outings, Jontee Brown averaged 19.5 points and 9.5 rebounds and Shaun Groenewegen had 28 points, 12 boards and nine assists in their victory. Perth have fallen short of a finals appearance, finishing three games outside the top four but they impressed over Round 9 as Kim Robins (25.5 points per game), Shaun Norris (22.5 points, 9.5 rebounds, 14 assists) and Thomas McHugh (14 points, 11.5 boards) all starred. The Wheelcats were overtaken late in the season by Red Dust, who are heading into the playoffs on a three-game winning streak after sweeping Adelaide over the weekend. Winning their first two games comfortably, the Heelers were then pushed all the way in their third meeting as the Thunder aimed to finish their season on a high-note. Trailing by seven points with only 50 seconds to go, Adam Roocke (36 points, 12 rebounds) put Adelaide on his back to score the last seven points of the contest, including a three-pointer, to force overtime. Red Dust did not panic though and went on a 11-0 scoring run in overtime to clinch the contest behind big games from Josh Turek (37 points, 17 rebounds, seven assists) and Rob Pike (13 points, 14 boards, five assists). Turek recorded a double-double in each game, finishing with an average of 32.3 points, 12.7 rebounds and 5.7 assists while Brad Ness collected 13 points and 12.5 rebounds over the first two games before missing their Sunday clash. Find all the results, stats and the ladder for the season so far here. Queensland will now take on Kilsyth in the first Semi-Final with the winner advancing to the Grand Final. 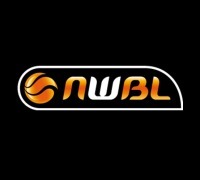 The loser will take on the winner of the other Semi-Final between Wollongong and Red Dust in the Preliminary Final and the winner of that Preliminary Final will also make it to the Grand Final.